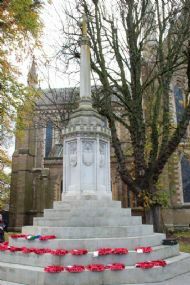 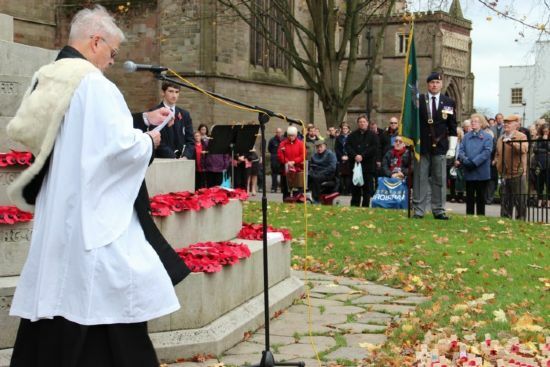 A short service conducted by Canon Paul Tongue was held outside Worcester Cathedral just before 11am to mark the end of WW1. 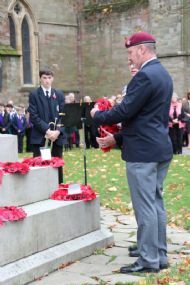 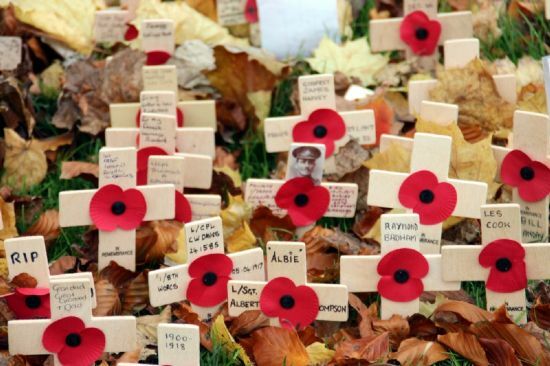 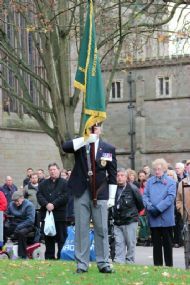 The Last Post and reveille was played by a Kings School pupil. 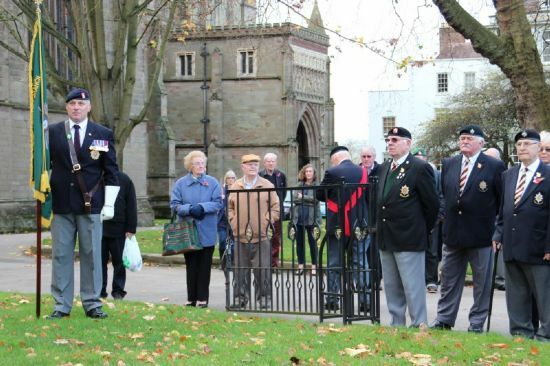 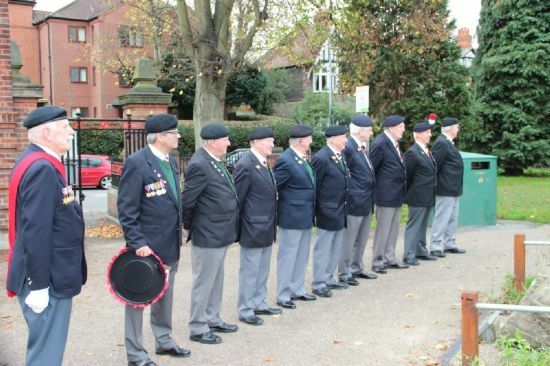 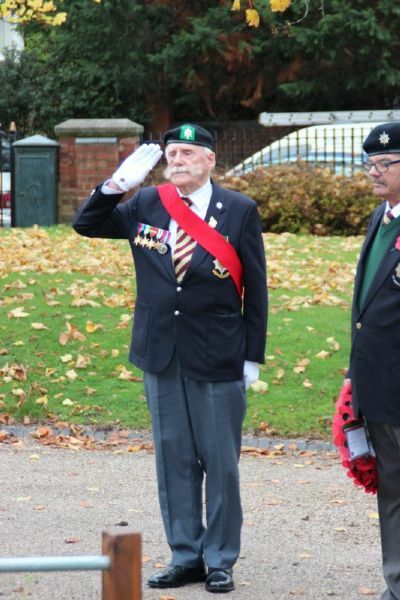 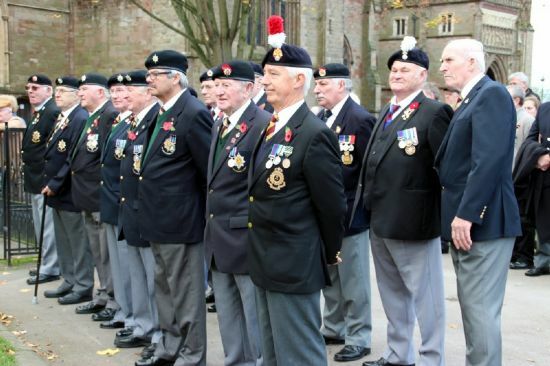 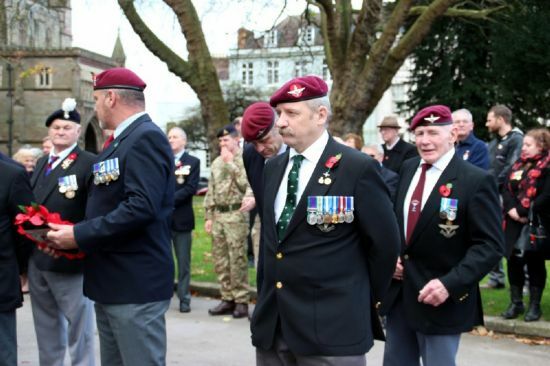 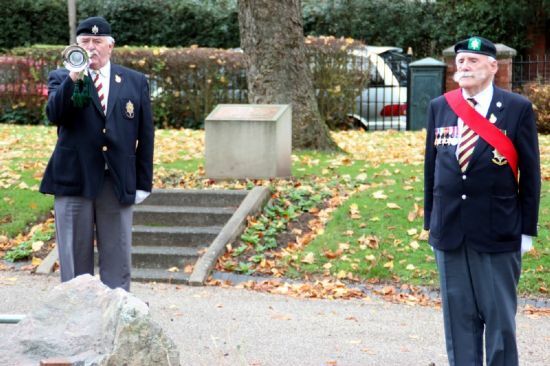 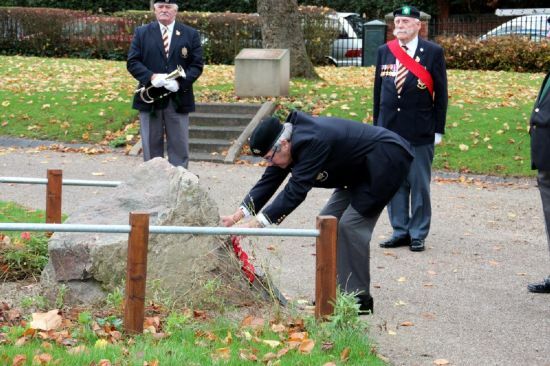 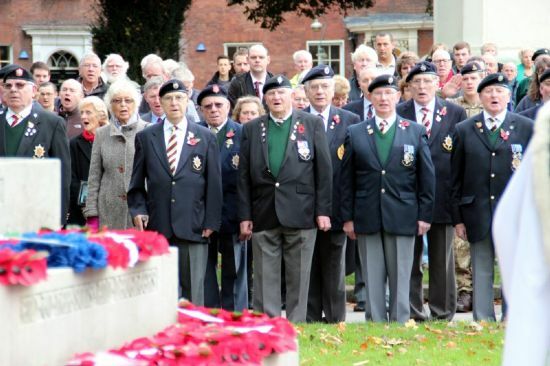 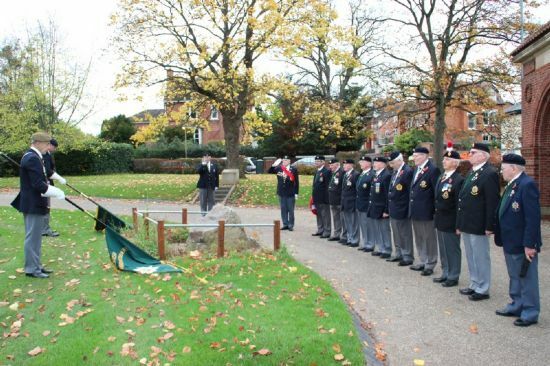 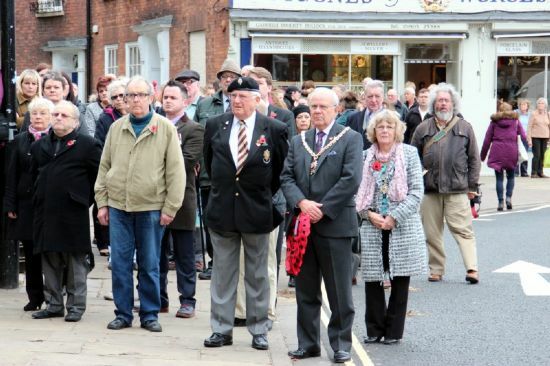 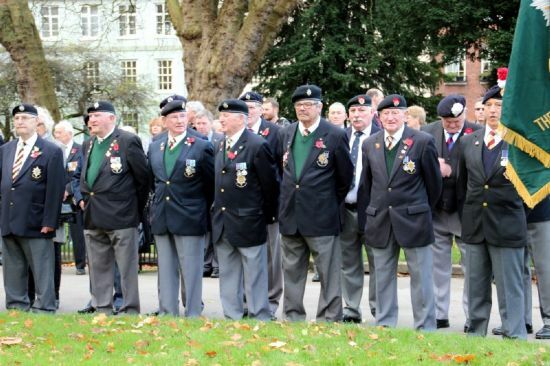 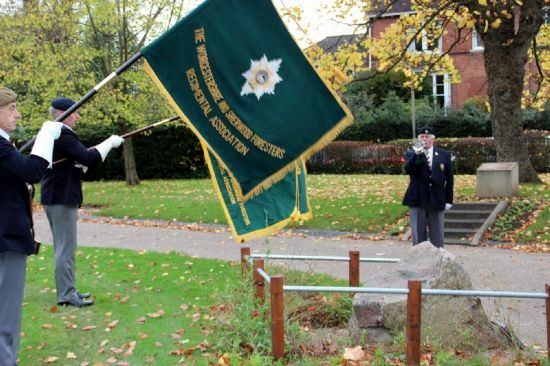 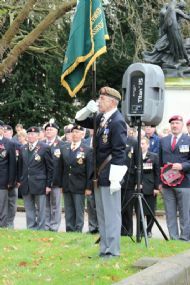 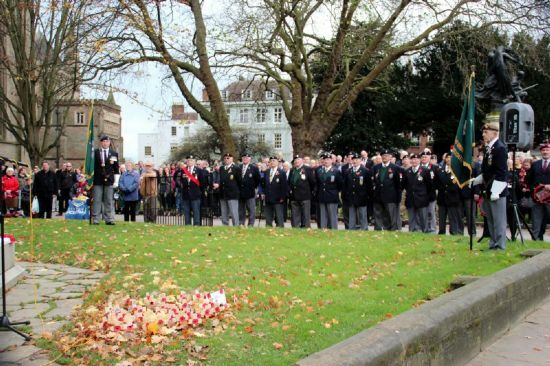 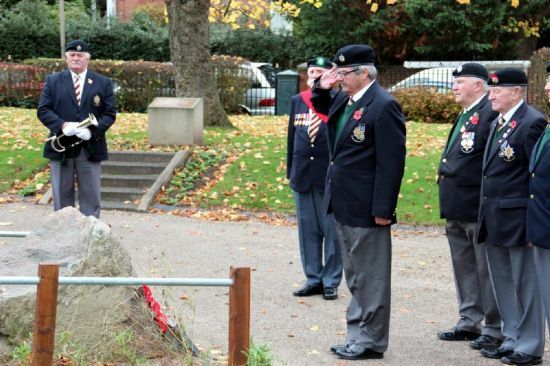 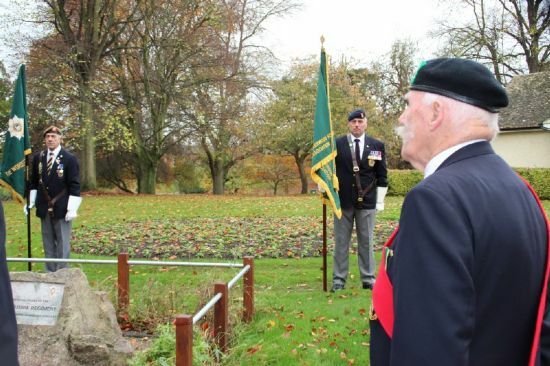 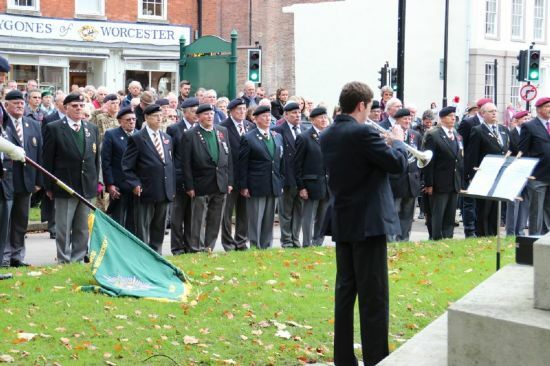 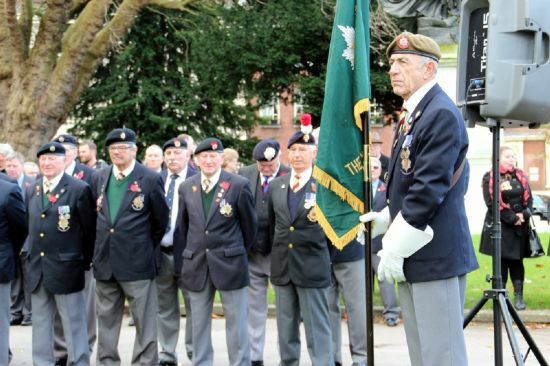 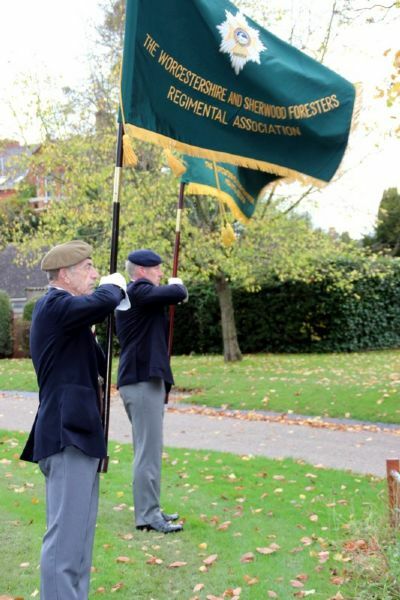 This was followed by a short service at the Worcestershire Regimental Stone in Gheluvelt Park led by Worcester Branch Secretary Maurice Smith, with Mick Graham playing the Last Post and Reveille and Val easterlow laying a poppy wreath.